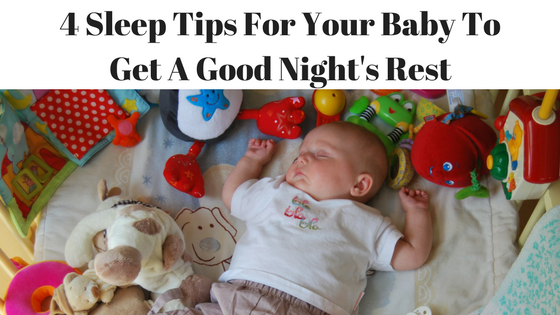 Let’s take a look at a few sleep tips that you might be able to use with your baby. Sleep Tip #1: Look for the perfect mattress. The first place to start is the right crib mattress. A good mattress will allow your baby to be safe and comfortable. It should not have any spray-on FR chemicals and it should be light in weight to make it easy to change the sheets in the middle of the night. There are also a number of different sleep surfaces that you will have to consider, and deciding on which one to use will depend on the age of your child. Infants benefit from a smooth, firm surface while older babies benefit from foam support for their growing spine and joints. Additionally, mattresses should be covered with a high-quality, supple fabric cover. Sleep Tip #2. Learn how to calm the startle response. From birth to about five months of age, babies tend to have a startle, jerky response in their sleep which wakes them up. Swaddling is the best way for babies to feel safe and snug. Sleep Tip #3. Limit the length of day naps. Although it’s difficult to wake a baby that’s sleeping peacefully, it’s a good idea to keep day naps down to two-hours or two-and-a-half hours. If a baby sleeps for most of the day, he or she will not feel sleepy at night. The best cycle appears to be sleep, wake, feed, play, and then back to sleep again. Naturally, this is not a hard-and-fast rule, as sometimes your baby may not have slept well at night and may need a longer day nap. Babies love routines because routines create predictability. This can be created by developing a sleeping routine like day napping, pre-napping before bedtime, and a regular bedtime. The ideal routine, of course, is something that you will have to work out. Another way of building in a routine is environmental—draw the curtains at a certain time, bathe your baby at the same time, read a story at the same time, and play their favorite songs at the same time. You can even make sleepy time predictable; for instance, singing the same lullaby. By avoiding randomness and increasing order, you will develop cues for your baby and he or she will know what to expect. Moreover, once you’ve developed a routine that your baby loves, write it out so that grandparents or babysitters can follow the same sleep routine. In closing, it’s important to understand that these are only rules of thumb. They are guidelines more than anything else Ultimately, your quest is to understand how your baby sleeps. This means what sounds wake them up and what they find overstimulating. Notice, too, what signs suggest that they are over-tired and be able to recognize that well-rested look. There is a lot of trial and error involved, and it takes patience and persistence to finally develop a plan of action that helps your baby sleep through the night.